As if birthed from the stars themselves, the boy wears a coat of steel born shades. Like the twilight hour, darkness envelops most of his form. Yet what makes it so unique are the specks within his coat that look like a starry night sky. They litter his pelt, though are more prominent in a pattern similar to the Milky Way that starts at his nose and climbs up his forehead between his eyes, running the length of the back of his neck and draping down around shoulders and each forelimb stretching all the way to the tips of his toes (now glows along shoulders and forearms after being blessed). A black mask is also worn upon solemn façade and creep up his limbs as if foreshadowing the darkness within trying to takes its hold upon his mind. Darkness is greeted with light as ivory hues grace his pelt along muzzle, undersides and limbs. Fur is like fine silk; long and flowing just like his mothers. It extends beyond normal and built for cold, harsher climates. It keeps him warm at night, though is unbearable during hotter times of the year. As he grows, muscles will become well defined beneath his thick coat. Broad, masculine features will be prominent as he reaches adolescence and adulthood. But for now, he is simply like any other cub although obviously on the larger side of average. His size will be evident from birth; a beast to be reckoned with should he make it to maturity. Mane will be as dark as a moonless night along the top half, bleeding in to a lighter blue along his chest before fading in to white along his stomach with each passing year. The tuft of his tail will bear the same rich hues as his mane. An internal war plays out on a daily basis in this boys mind since birth. Just as his father before him, Spirits have latched on to the boy since birth often whispering things to him about a great many things. But where Nevermore only had voices of good intentions, a darkness has latched on to Solomon as well as the good. Angels and Demons run rampant as they constantly battle to ‘help’ the boy. The unusual circumstances of his existence cause the boy to often be distant; his emotions either absent or all over the place as he struggles to find a balance between being a cub and dealing with the voices trying to influence his every action. Each day, each second, is a choice he faces. Whether to do as he wishes or do as the darkness commands. He fights it at every turn and it leaves him solemn most days. Yet it presents an unpredictability within. Just as a summer storm, his moods can turn on a dime and random to anyone who doesn’t understand what is transpiring inside his head. 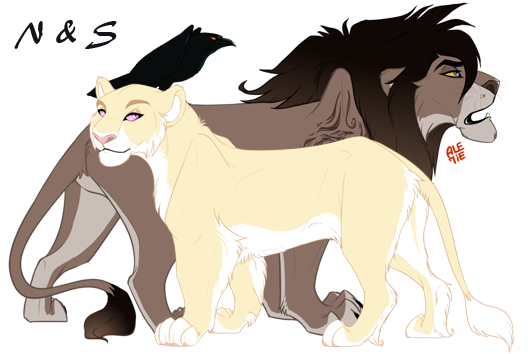 APR Y2: Born to Nevermore & Shiba in Anima Falls with his siblings Zen, Zayn & Brutus. July Y2: Brother Zen was slain and Shiba was kidnapped, forcing Nevermore to say goodbye to his sons and Beetle to go find her and hopefully bring her home. Zayn, Solomon and Brutus are left in the care of their adopted sister Beetle and Taske. Jan Y3: Frustrated with the tension between family in Anima and his world crumbling around him, Solomon leaves Baraenor in search of Mom and Dad. Feb Y3: Zayn catches up with Solomon and the brothers attempt to make amends on their journey to find their parents. Not long after Zayn finds him, he encounters an injured Snowy Owl who he soon finds himself bonding to. She chose to remain with him after mending and formed a connection. Apr Y3: Shape of You -- With the arrival of his first birthday and adolescent hormones beginning to rage, Solomon experiences his first crush when Zayn and him come across a pride land in the search for their father causing the brute to lose sight of their goals. May Y3: Dancing On My Own -- Experiences first heartache when his crush moves on to another adolescent within her pride. Zayn becomes his rock, grounding him in reality and back to the goal at hand before the dark spirits talked him in to doing something...bad. June Y3: Zayn and Solomon finally find their father...or what's left of him; a hollow image of his former self as they realize that their mother did not survive her captor. July Y3: Returns to Baraenor with his brother Zayn. -- Solomon has had seven five spirits latch on to his thoughts from the moment of his birth just as his father had spirits latch to him. However, unlike his father, two of the five spirits bring a darkness with them causing an internal war to be played out on the battlefield of his thoughts on a daily basis. -- Was able to finally exorcise the two dark spirits from his thoughts with the help of his father. -- Ajin Main Theme by ?? Email: Send Solomon an email. Private Message: Send Solomon a private message. 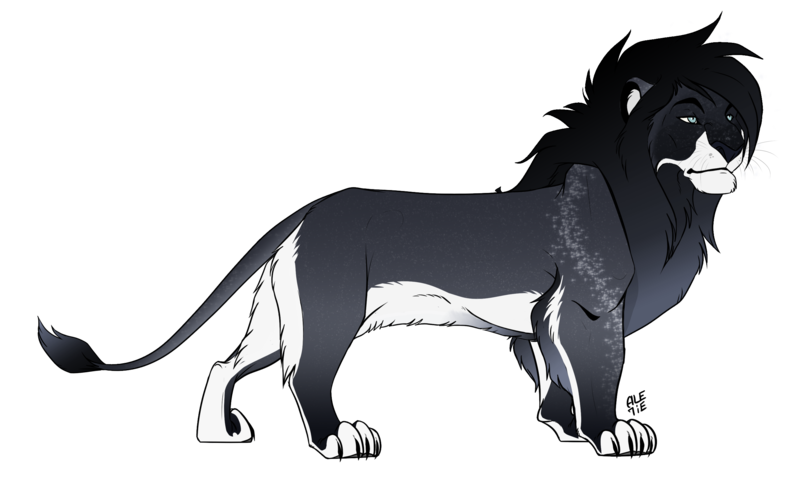 [ CHARACTER ] History: APR Y2: Born to Nevermore & Shiba in Anima Falls with his siblings Zen, Zayn & Brutus. Experiences first heartache when his crush moves on to another adolescent within her pride. Zayn becomes his rock, grounding him in reality and back to the goal at hand before the dark spirits talked him in to doing something...bad.